The Tech Giant – Google has announced its next major Wear OS H Operating system for all its Wearable devices. The Wear OS is designed to be used on Smartwatches and Wearables and was initially called as Android Wear which was renamed later by Google. The latest update will be pushed to all the compatible devices in the next few weeks and which is also said to be bringing many updates to its wearables. The update will be rollout in patches and it will take some while to reach all the devices depending on the manufacturer of the wearable. Along will the update, the users will get Smart app resume for all the apps which lets its user pick up from where they left off the last time across all the apps on the watch, which saves time and energy of the user. There is a feature that comes with the update as well which is the Two-step power off, that lets its user turn off the smartwatch in two easy steps. Step one is to hold the power button until the power off screen comes and then select from power off or restart option accordingly. The major improvements that will come with this update are to the Battery Saver Mode that will be extended the battery life of the device even further when the battery falls below 10 percent by turning on Battery Saver which displays only the time. Moreover, the update will bring Improved off body efficiency after 30 minutes of inactivity, the device will go to deep sleep mode which in turn conserves the battery of the device. 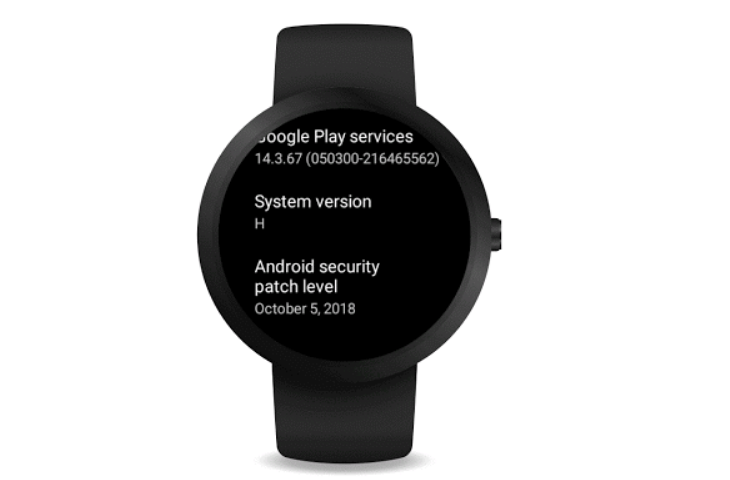 Moreover, the Wear OS supports and integrates Google Assistant into the smartwatch and also show all the mobile notification which makes it easier to operate. The wearables that run on Wear OS can be paired with smartphones running on Android 4.3 or higher and iOS 8.2 or higher. The OS also supports Bluetooth, Wi-Fi, and LTE connectivity and comes with a wide range of applications support. Comment in the section below if you have more queries and stay tuned to Android Advices for more.